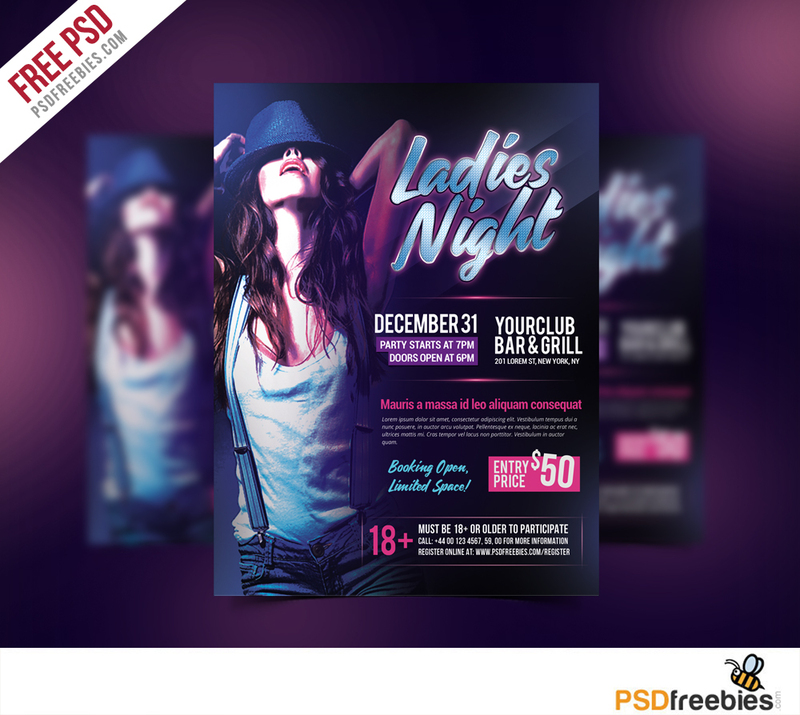 Download Ladies Night Party Flyer Free PSD Template. A unique party flyer psd, invitation design for your next party. You can use the flyer template to promote Ladies Night, bachelor party or any other nightclub party and event. The final package you download includes a fully layered, renamed, grouped PSD file. Hope you like this Ladies Night Party Flyer Free PSD Template. Enjoy!